This spice sauce is an ally to dishes that require a touch of color and joy. Let it stay in the air the strong aroma and rich curry flavor combined with chives. Combines well with grilled and roasted meats and salads. Tip: Impress your friends with a combination of roast beef, nuts, apples and Curry and Chive Cristal vinaigrette sauce. Delivers all over the world by truck, air and sea. In LCL or full container. Shelf Life / Products Validity: We always deliver with the maximum validity. The concern with international food standards is very large. The Cristal brand was registered in 1939 and has now 75 years of existence in the market. It began in glass bottle, the packaging available at that time, and adopted later the polyethylene cruet, which brought great success to the brand. 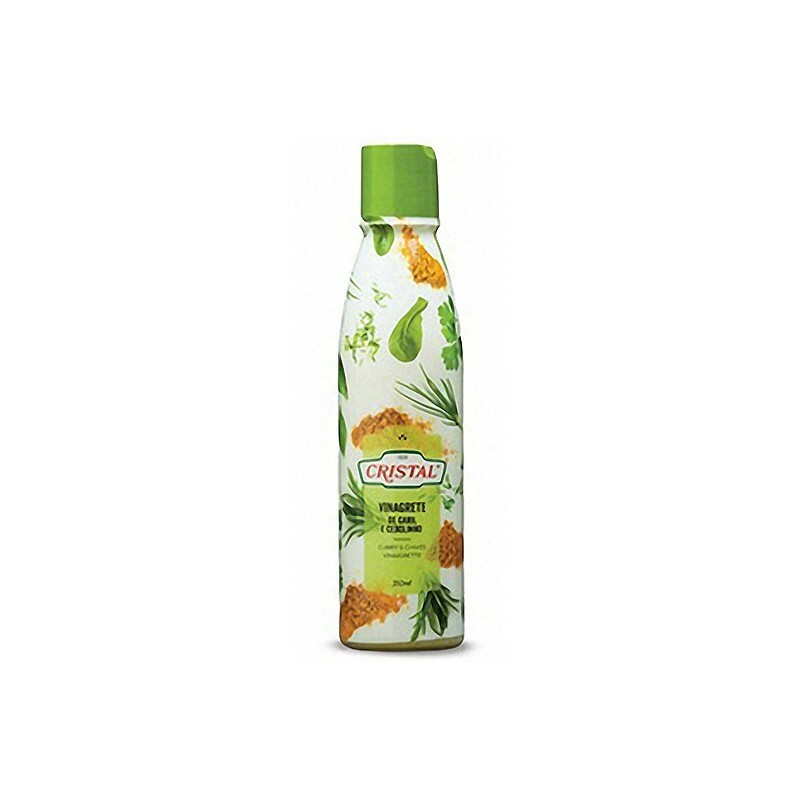 Later, in the 90s, a PET package was specially developed for the brand, ensuring better preservation of the product. 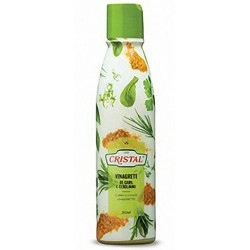 The Cristal Gourmet brand was created in 1985 in order to cover other types of targets such as "old fashioned" vinegars connoisseurs (vinegar with a higher acidity). Since its creation, the Cristal brand has been following the market trends in a cautious but dynamic way, launching new flavors in addition to the only vinegar used in the 30s - the white wine vinegar. Nowadays, the Cristal brand has a variety of new flavors as well as an extended product range. Our company is specialized within the production of vinegars, sauces and condiment. Supported by a European dimension, our company uses the most advanced technology in the development of quality products according with client’s specifications. Today we export our products worldwide. Quality and Food Security, Environment, Safety and Social Responsibility Policy as a fundamental instrument of our strategy, as only then will it be able to achieve the level of accuracy that drives the organization to its success. ISO9001, ISO14001, IFS - Food, BRC Food and Eco-Cert. Our strong commitment with the advanced technologies has increased its potential and has allowed the company to expand its operations to markets beyond its borders. Africa, southwest Asia, Middle East, Europe Eastern countries and Common wealth countries are some of the most potential markets in what concern to the commercial growth in the bottled and industrial segments. The Company’s cumulative know how is used to develop products under clients requirements to be filled and packed with their own brands worldwide.